So how are we doing? Well, in 2008 there was a review of progress towards achieving the eight MDGs and it revealed that MDG#4 is in serious trouble. The report showed that there had been an incremental improvement over the preceding 18 years with child mortality falling at a little under 2% per year. 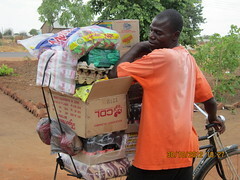 At this rate we are going to miss the child mortality rate target by a long way. To hit the target we are going to have to increase the rate of improvement from 2% to more than 10% per year. 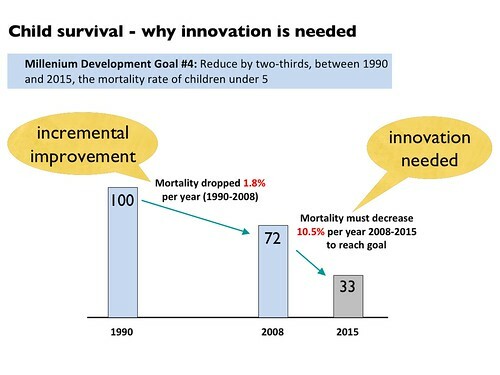 What this tells us is that incremental improvement is not enough by itself, we need a step change in the rate of improvement and to achieve this we need innovation. This is where we think ColaLife can contribute and this is why we are working hard to get a trial of ColaLife underway in Zambia. 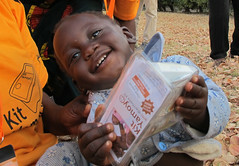 The pilot in Zambia will focus on the distribution of AidPods configured as Anti-Diarrhoea Kits (ADKs). 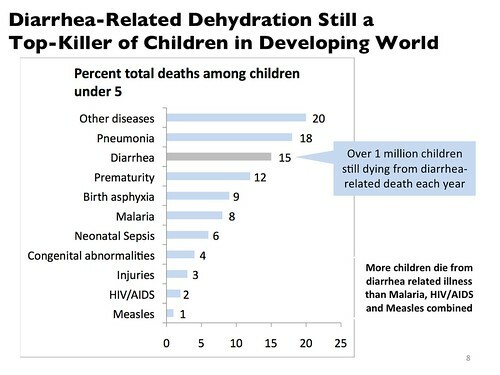 On the one hand it is a tragedy that, in 2011, so many children die from dehydration from diarrhoea – more that HIV/AIDS, Measles and Malaria combined. On the other hand, it is fortunate that this is easily treated with very simple medicines that can be easily distributed – no cold chain or pharmacist required – and used in the home. We are going to try and make the very most of this opportunity.